Hamby Home(in)stead ...: Shopping for spuds! 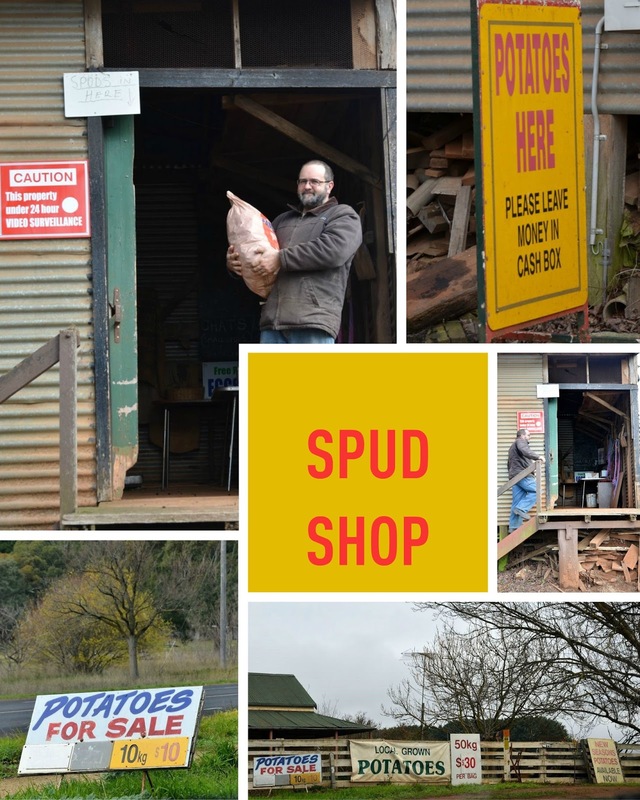 Since moving into Hamby Home(in)stead we've been buying our potatoes direct from the grower at stall about 25km "up the road" from us. A $10/10kg bag lasts us ages but if we were really keen, we could buy 50kg for $30! The small shed is usually deserted so we help themselves to our bag of choice, slotting payment into a locked cash box. There is an exercise book and pen but I'm not sure whether we are sposed to record what we bought as I've only encountered the farmer on my first visit. Historically, the Romsey area "was rich farming land and provided a "food basket" for travelers to the gold fields in the mid-to-late 1800s. Potatoes were grown for many years, until WW2 caused farming to change to sheep and cattle."